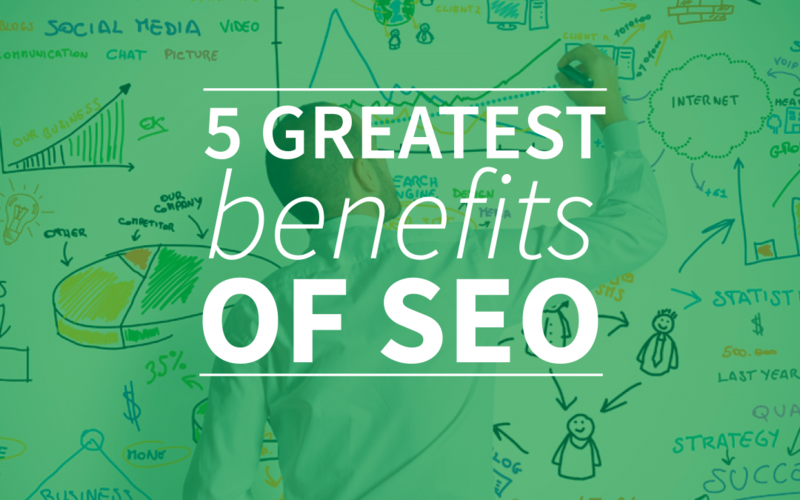 5 Greatest Benefits of SEO | by webtexttool. Every day, there are 3.5 billion searches done worldwide on Google. Google is the most populair search engine in the world, followed by Bing and Yahoo. Research shows that 70% are not even looking beyond the first four search results. When your website is in the top four of the search results, you draw most people to your website. Read more about: Google Click Through Rates in 2014. Research also shows that 81% of online users think that the best way you can find the websites is through search engines. Knowing more about this online behaviour can be very useful. That’s exactly why you should do your best to be one of these first search engine results. How? By using SEO! SEO is optimizing your website for search engines for Google, so that people and the search engines can find your webpages better. This significantly increases visitors to your website. If you visit a website you will see pages full of pictures, articles and YouTube Video’s. Also the backend of a website is like a combination of pictures and text nowadays and can be easily designed in tools as WordPress or Drupal. Search engines look at websites in a different way, they scan websites using source codes. Search engines pick up signals from these source codes, so search engines know what the page is about. You can give the right signals by using keywords. A keyword is a word you search for in search engines. A special algorithm by Google defines what is important in this code what is not, according to Google. Keywords can be more than one word. Imagine, you search on Google for a recipe, are you looking at recipe or pasta with chicken? Both are keywords and the site that comes up first (allrecipes) in the search engines will have you as a visitor. If you choose the right keywords and place them in the right places on your page, you’re optimizing your website. That’s what SEO is about: make sure Google will see that your site is valuable for your target audience. Google offers a keyword planner for Adwords, which can also be useful for organic search. This is something you could also do with the help of webtexttool. Check out our free trial of you want to know more about that. Five main benefits of SEO. For visitors you get from search engines, you pay nothing and pages that are high in search engines continue to bring visitors to your website. This therefore gives you a long-term advantage, because if your pages are rated valuable, they can stay in the top results for months and maybe even years. This way, one article can lead to views every day. The long lasting effect has been proven by different parties. SEO gives information to your target audience through the words that they search for in search engines. The target group is focused looking for your services and products. This makes SEO very efficient! For example, if you’re a car dealer and you target on a specific and relevant keyword, like ‘buy car London’ you’ll be able to get exactly the persons to your site that are interested in buying one of your cars! The webiste on the number one position (AutoTrader), will most likey receive most visitors. The website on postition numer two (Gumtree) gets only half of the visitors acoording to research by Advance Web Ranking. You can calculate your advantage very easily with the special SEO calculator. SEO ensures that your website will be easier to find on Google, without having to buy ads. This is also a lot cheaper than Google Adwords, with paid advertising in Google. But, don’t underestimate it! If you don’t put enough time and thoughts in it, your results won’t be as good as you hope. It’s defenitely an opportunity but you still need to be dedicated to get results! Search engine users rely on Google, if your website is higher in Google, people have more confidence in the reliability of your website. If you end up in the search results, it is more likely you have more visitors. More visitors means more sales, readers or leads! How to generate leads after attrackting visitors, is antoher business and also very useful. Many people think you have to be very technical with SEO and that SEO is very complicated, but this is not the case at all. SEO is evolving around the provision of adequate and relevant information on your website. When visitors find the right information on your website, you will see that search engines will appreciate this too. Webtexttool helps you to optimize your content and shows you that it’s not that hard if you do it the right way. Want to give it a try? It’s worth it! Read more about SEO tips you need to know. Want to boost your SEO traffic? Download our free white paper and get started!